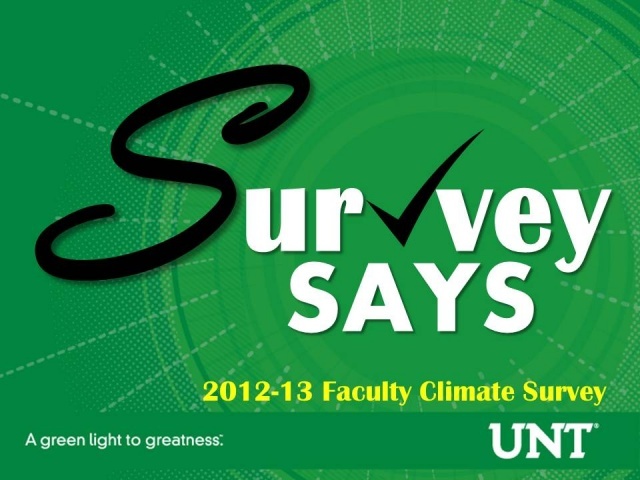 Thanks to the 760 faculty members who completed the 2012-13 Faculty Climate Survey. With a 70% response rate, we feel confident that the data provides a representative baseline for gauging the efficacy of institutional policies, programs, and initiatives. Findings from each of the key areas can be found in the Executive Summary. Not surprisingly, the data reveals both areas of excellence and opportunity for improvement. In the coming months, the Provost Office will develop a comprehensive plan to address immediate areas of concern and long term initiatives. 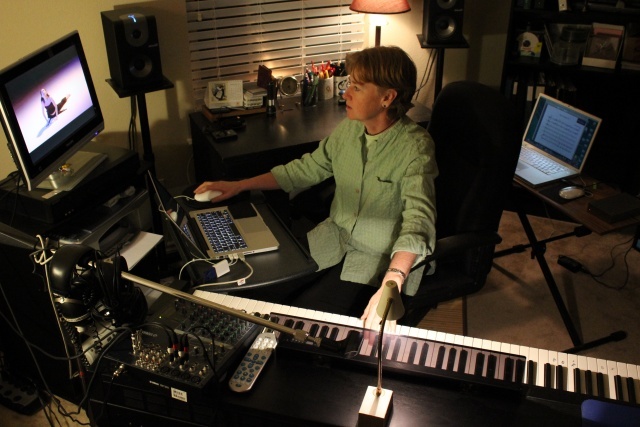 Our goal is to provide ‘real-time’ tracking of our progress toward achieving our short-term and long-term goals. If you have an idea or suggestion to include in this plan, please send your comments to facultysuccess@unt.edu. UNT's success and progress depends on the exceptional work of our faculty members who set high academic standards and who perform at the ‘top of their game’ in their teaching, research, and service endeavors. The culmination of their hard work is the receipt of tenure and/or promotion. We wish to congratulate 66 UNT faculty members who will begin the 2013 academic year with a promotion in rank, newly granted tenure, or both. The Toulouse Graduate School is pleased to announce the call for the 2013-2014 Toulouse Scholars Award. This award recognizes outstanding teaching and scholarly or creative achievements of members of the UNT faculty; recipients will receive $2,000.00 to further enhance their research activities. All full-time, tenured faculty members who are full members of the Graduate Faculty and who are not previous recipients of a Toulouse Scholars Award are eligible to be nominated. Nomination letters and nominee’s current vita must be submitted to Rochelle Sykes (rochelle.sykes@unt.edu), Toulouse Graduate School, by August 1, 2013 for consideration by the selection committee. For specific award information, please visit the Faculty Success website. 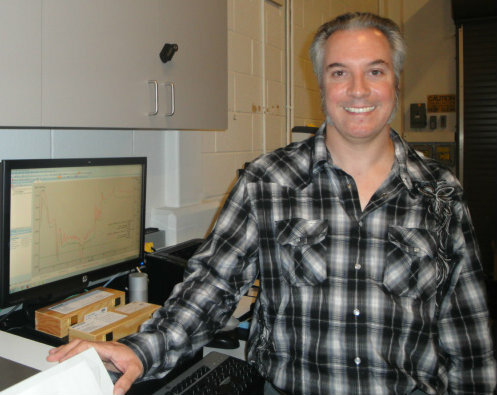 What are your summer plans for research? teaching? service? Please send your interesting stories to facultysuccess@unt.edu. Please send your good ideas, comments, and/or suggestions for the Back-to-School Edition of the Faculty Newsletter to faculty.success@unt.edu.